Welcome to Beresford Elementary! We are a small, vibrant K-5 public school located in San Mateo, California. We are proud to serve a diverse population of 284 amazing students. We provide a standards-based curriculum and believe in developing the whole child, based on the HET(Highly Effective Teaching) model. Our dedication to developing every child into a responsible citizen is evident in our hallways, in our classrooms, and in our academic results. Learn more about the California State Content Standards on the SMFCSD website. Our goal is to provide our students with a balanced literacy program that includes the following components: reading aloud, shared reading and writing, guided reading groups and independent reading and writing. 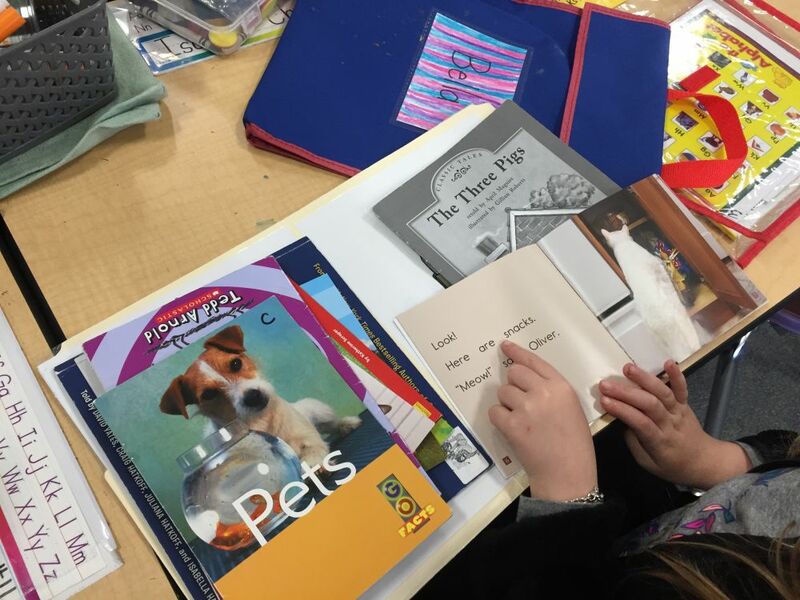 All students are taught grade level standards through literature and expository text in the adopted curriculum, Benchmark Advanced, and in picture books and trade books. We emphasize reading strategies in our individualized instruction given during guided reading groups. We all encourage a culture of reading for students to become lifelong readers by teaching students how to read independently at school and at home around their reading level so they can increase their vocabulary, fluency, and stamina. If your student is learning English as well as the grade level standards, they will be given additional support during Designated English Language Development (ELD) time. They will be learning how the English language works, vocabulary, grammar, and focusing on oral language. During the whole day, teacher embed Integrated ELD strategies which supports students to use English, providing sentence frames, vocabulary words and lots of practice talking using academic language. All teachers teach writing in a Writer’s Workshop format using the Benchmark Advanced writing lessons. Students participate in daily writing experiences across several genres – personal narratives, non-fiction, poetry, response to literature, etc. Students are taught to write by using mentor texts and by studying the habits of authors. Students are expected to choose their own topics and to write from their own life experiences. We are excited to be in our second year of using the Common Core State Standards (CA Standards). Our students receive over an hour of math instruction daily, while studying mathematical concepts that are needed to be successful. Teachers are using lessons from our district adopted curriculum, enVision Math, MARS tasks, Counting Collections (Kinder and 1st grade only) as well as, supplemental tasks that promote higher level thinking. Our teachers use the FOSS program to incorporate a hand-on approach to teaching science. The FOSS program was developed at the UC Berkeley Lawrence Hall of Science. In addition to learning grade level standards in an accessible way, our 3rd-5th grade students attend a field trip each year to LHS and extend their learning of the concepts they are experiencing in class. At Beresford, we teach to the whole child, balancing the need to excel academically with a child’s need to develop into healthy citizens who can succeed socially. We believe that our success is due to this balance. Learn more about Beresford's academic progress.